After being overlooked last year, GWS Academy member Lachlan Tiziani went back to Albury, worked hard, was the leading goalkicker for TAC Cup side the Murray Bushrangers and has now earned himself a spot of the GWS senior list. A medium forward by trade, Tiziani is a goalkicking aerialist with strong, clean hands. He sometimes lacks defensive pressure and doesn’t always produce high disposal numbers which will likely see him finding it hard to get a game at the Giants early on. Averaged 81 points for Murray. Another who was regarded as a top 20 talent at the start of the year. The Lions pick up Allison from their academy, a tall utility with the ability to play pretty much anywhere on the ground. One of the best kicks in the draft, Allison showed his athleticism by posting top ten scores in the standing jump, 20-metre sprint and repeat sprint tests at the draft combine. Still skinny and will need time to bulk out, but once he adds to his frame, Allison will provide the Lions with a versatile, athletic tall. Ed Phillips is a hard running outside midfielder possessing great endurance, versatility and the ability to still win his own ball. Averaged 78 Fantasy points for the Chargers in the TAC Cup and will add welcome depth to the finals-primed Saints. May struggle to see game time early on however. I don’t think Collingwood fans would’ve liked draft night very much if the club did not select Callum Brown, son of Gavin, and Josh Daicos, son of the legendary Peter. Josh is a small forward, like his father, and brings with him x-factor, football smarts and a touch of class in the forward line. For Metro and Eastern, Daicos struggled for consistency and will need to work on applying more defensive pressure and baulking up a few kilograms. A Tom Papley-like forward when he’s on. I must admit I am very surprised by this selection. The former Fremantle player was taken by the Giants with selection number 58. 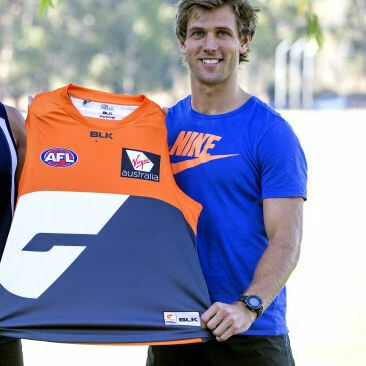 Had absolutely no idea he was on the Giants radar but will bring Grand Final of experience with him – a trait which will likely prove very handy in the coming years as the AFL’s newest club mounts it’s inevitable premiership charge. Also adds flexibility. Polson is a small forward/inside midfielder with speed and ferocious tackling. He made just four appearances for the eventual premiers because of a serious shoulder injury. The Blues will be hoping Polson and rookie selection Kym Lebois form a strong partnership up forward. Western Australia’s Quinton Narkle is the second balanced midfielder to find himself playing his football down at the cattery next year. Narkle impressed recruiters with his precise albeit safe foot skills, decision making and ability to run and carry. At times his disposal can lack damage however at 181cm and 82kg, he is ready to make a charge for Josh Caddy’s vacant midfield role in 2017. Averaged 68 Fantasy points in four games for WA. Athleticism is the first thing that comes to mind with this guy. He was one of the best performers at the combine, producing top ten worthy scores in the three jump tests, 3km time-trial, beep test, agility test and kicking test. Williamson is tall at 188cm, which will allow the Blues to try him out in a variety of different roles and positions. But before that, he will need to add a couple of kg’s to the frame. Only averaged 46 for Vic Country at the Championships and 78 for the Rebels. Although Crows recruit Matthew Signorello didn’t front for Vic Metro throughout the Under-18 National Championships, he went back to his TAC Cup club, the Northern Knights and played very well. He impressed the Crows recruiting staff in one particular game against the Rebels. He lined up against new Brisbane teammates Hugh McCluggage and at-times Jarrod Berry and more than held his own. Will be tricky breaking into Adelaide’s lineup but his strong marking, acceleration and tackling will be on show in the SANFL for all to see. The selection of Dylan Clarke capped off what was a very good night for the Bombers. After capturing run and carry machine Andrew McGrath with the elusive number one pick, Essendon then picked up athletic medium defender Jordan Ridley at 22. They added strong-bodied Josh Begley at 31 and GWS Academy member Koby Mutch with pick number 42. All of those players are promising Fantasy scorers and in-fact the Bombers may have recruited the best players, Fantasy-wise. Dylan Clarke is a tough inside midfielder who thrives of contested-ball and clearances. Foot skills and speed are not as good as some of the other midfielders taken around this mark but Clarke is as productive as any. Averaged 30 disposals, 4 marks, 8 tackles and 128 Fantasy points in 7 TAC Cup games. Definitely one for the watchlist. Melbourne must’ve rated this guy pretty highly seeing as they selected him above the likes of croweater’s Lebois, Stengle and Jarman. Johnston is a capable overhead mark for his size but also provides defensive pressure when at ground level. Many draft watchers, including myself, were left extremely surprised that Patrick Kerr was selected so late in the draft. Paddy McCartin-like in the way he marks the ball and works hard off the ball. Kerr’s speed and agility may not be there unlike many other athletic key forwards, but Kerr is a natural footballer who knows how to find the goals. Was Vic Metro’s leading goalkicker and won places in the TAC Cup and Under-18 Championships All-Australian teams. Physically ready to play straight away and should see game-time. Although he was viewed by many as the best state league draft hopeful, the likes of Darcy Cameron, Tom Stewart and Mitch Hannan were all picked up earlier than the Coburg medium defender. Ryan has good foot skills and sets up the play well from defence by intercept marking and reading the play. Not the most athletic player but was named the VFL’s best young player for good reason. Averaged 80 Fantasy points for Coburg and, as is the case with many VFL, WAFL and SANFL draftees, will be able to make an immediate impact at the Dockers. Like Patrick Kerr, I would’ve thought a bid for Scheer would’ve come in much earlier. I am a big fan of the way Gold Coast’s second ever academy player goes about his footy. Compared to new Tiger Josh Caddy because of his contested marking, scoreboard impact and contested ball winning, Scheer impressed for Queensland and the Allies at the Championships. An AFL Academy member, Scheer was adjudged the best on ground in the Academies game against Geelong’s VFL side. Averaged 21 disposals and 83 Fantasy points in the Championships and scored 118 for the sunshine state in one TAC Cup outing. A potential Fantasy gem who will get games in 2017. Timm House is a strong 95kg medium utility who plays his best football down back. An able contested mark, House was one of the VFL Cats best performers in 2016 and will be ready to go from round one next year in what is a similar story to current Cat Tom Ruggles. The Cats have again taken a player from their reserves/affiliate VFL club. I personally like this idea as it means the players are ready to go straight away and are often mature enough t0 fit in from the moment they set foot at Kardinia Park. Abbott is a 200cm ruckman who dominated opponents in the air with his tap work and surprising athleticism for someone of his build. Adds to the Cats ruck depth. There are a lot of ‘interesting’ names in this draft lot and the Bulldogs may have gotten their hands on the best of them. Fergus is a versatile 190cm prospect from the Bendigo Pioneers. He has strong endurance and athleticism – a trait which was a theme in this draft pool. Will require some time in the gym before he makes his mark.